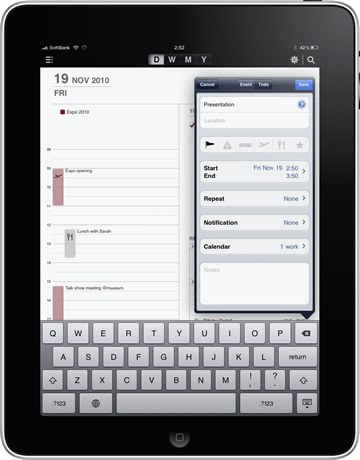 The calendar view on the iPad is loved by and equal amount of people that are not thrilled about it. 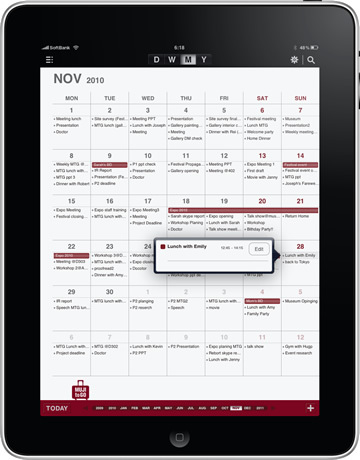 There are a few major calendar apps that do a lot and are just right for people that live their calendars. Then, there is a few of us that live in our Google Calendars. 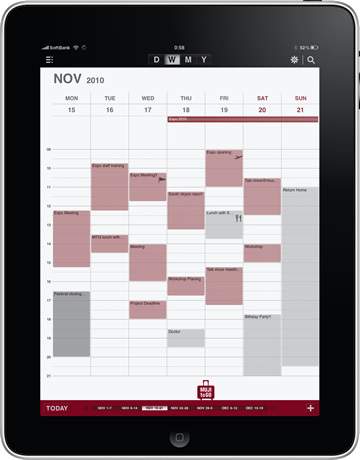 An option to having the Google Calendars viewed only through the Web site access is the Muji Calendar app (currently free). The software will actually run completely without a Google Calendar as a stand alone app, but the reason most of the users we have here is due to it’s Google sync. You don’t need to be connected to add/change calendar, they can sync up later when your online. 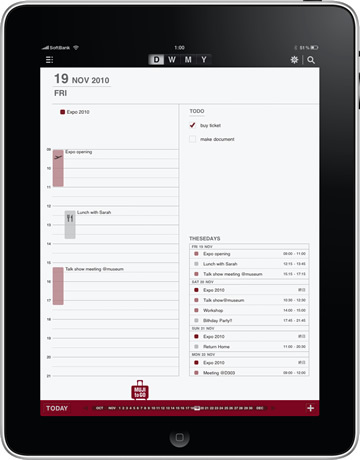 The joy of the Muji Calendar app is the ability to pinch and expand, double tap and quick short cut access to your calendar data. Earlier versions had some issues, but the latest seems to work quite well.